You may have heard people talking about good vintages and bad vintages. Perhaps you have also noticed a considerable price difference between one vintage and another, of the same wine. There is a lot of media hype, and commercial significance, around certain years. Thus it can be easy to forget that it all comes down to the weather of that specific year. Good weather means a good vintage and cool, rainy conditions will produce a lesser one. In many classic wine regions with more marginal climates like Bordeaux, Burgundy, Rhône, Champagne, Piedmont, Tuscany and Rioja, the vintage can have a significant impact on both the price and quality. In hotter wine regions, vintage variation tends to have less importance. In Bordeaux, the difference between a good and bad vintage is extreme, regarding both price and quality. Pétrus is a prime example, where the price between an average vintage, like 1987, and a top-rated one, like 2000, can differ by as much as €3,000 a bottle! Regarding quality, it is interesting to look at the vintages of the early 1990s. Top wines from the famed 1990 vintage are still drinking beautifully, while the 1991 and 1992 are lean and slightly diluted, due to an excess of rain during those years. Those wines are now past their optimal drinking window. Given the financial implications on vintage quality, it is understandable that there is a degree of politics behind the judging and scoring of different vintages. Those wine journalists and critics that professionally assess the quality of a vintage travel to Bordeaux in March following the vintage for an intense week of tasting and spitting. At this early stage, the wines have been in oak for barely five months and are thus very tannic and harsh. These barrel samples are not pleasant to drink, making tasting and judging quite difficult for those that are not highly skilled or experienced tasters. A couple of months later, the verdict comes, in the form of critics’ scores, and subsequently, the châteaux will decide the price that they’ll charge for their wines. Those wines that are highly rated by the most powerful and influential critics will charge the highest prices, and vice versa. In other classic regions, price fluctuation is less significant, and therefore slightly less attention is given to these scores. Many consumers have the mistaken impression that a good vintage in Bordeaux equates to a good vintage throughout the world. This is not the case, as the weather is different from one region to the next, and different grape varieties require different weather patterns for optimal quality and ripeness. Vintage is certainly important, though not in every case. Most wine is intended to be consumed shortly after release, when still young. 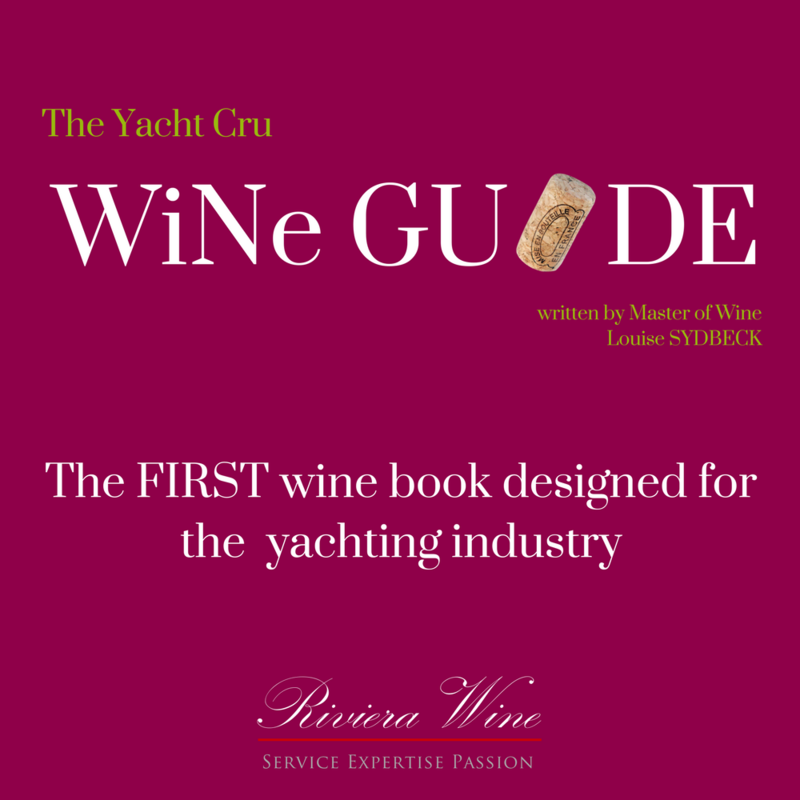 Common examples in yachting are Provence rosé, New Zealand Sauvignon Blanc and Italian Pinot Grigio. When ordering these wines, always ask your supplier for the most recent available vintage, and avoid replenishing stock with last season’s vintage. With higher-quality whites, such as Sancerre and Pouilly-Fumé, it is also normal to order young vintages, though there are exceptions. If a client has requested a specific vintage from more classic regions such as Bordeaux, Burgundy or Tuscany, try to stick to that particular vintage, as the difference between one vintage and another will be considerable regarding both quality and price. Note also that while two vintages may be close together chronologically, such as 2002 and 2003 in Bordeaux, they may be very different stylistically. If a vintage is difficult to find, ask your supplier for a similarly-rated vintage as opposed to sourcing an alternative from the closest calendar year. Assessing the quality of a vintage requires an experienced palate. The best way to find information about years and regions is to look at vintage charts written by the most acclaimed critics, such as Robert Parker and Jancis Robinson MW. In the yachting industry, there can sometimes be a tendency to drink “the label”, high-profile wines acting as a status symbol, with the nuance and subtlety of the wine taking second place. If this is the case, you should choose a good vintage from a top name, instead of a great vintage from a lesser-known name. This way, your client has the pleasure of drinking the most exclusive and well-known wines without paying the highest price.